It costs a lot of money to start a brick and mortar business. Period. What with getting products, paying for staff, getting inventory and paying for rent, this could all add up and become quite a hefty cost each month. In fact, this is one of the reasons why many people who wish to start a business are unable to move forward and actually start. But that doesn’t mean that you should let this crush your spirit. In fact, you should consider learning how to start an online business on a small budget. And in today’s post, I will discuss three great online businesses to consider that are really affordable to start. In fact, those online businesses are so affordable to start, you won’t want to believe they’re real and can actually make you any real money…but they do..oh how they do! A blog is a website on which you share articles on various subjects. For example, smartnancials.com is a blog that I use to share information about money-making money, saving money and becoming financially free- and I make money from sharing my tips tricks and knowledge. Blogs tend to do well as a form of online business because they’re very simple to understand and it only takes a few days to get them fully set up and ready for visitors. They also can help you make unlimited amounts of money. In fact, many bloggers who take this online business seriously can make over 10k per month in a year! 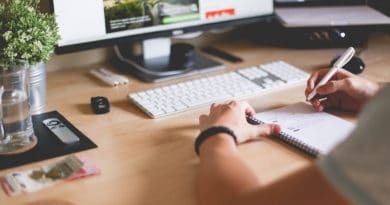 Starting a blog as an online business may seem overwhelming, but you can get all the guidance you need to start your blog right here. I take you through every single step you need to follow to start blogging. Plus, I answer all the questions the many new or aspiring bloggers have about blogging. You can sign up for my 8 day ‘start a blog’ e-course below! Amazon is a retail giant. And most of the retailers on Amazon are people like you and me who have found ways to source items that are in demand on Amazon and make an amazing income selling to Amazon shoppers. This business is also quite simple to start since and is also very cost effective. I recommend this detailed webinar to help you learn how to start a successful Amazon business. Shopify is another great platform for anyone looking to start an online business. It’s very similar to Amazon in many ways, yet very different in so many other ways. You can learn so much about selling on Shopify and becoming successful for the thousands of blog posts of people and their experiences. Most Shopify sellers create wonderful retail business and make them really successful.Starting a boutique on Shopify is a great online business idea. Starting a retail business on Shopify gives you to the opportunity to start off the right way, with the right tools and the best resources to guide you to become successful. Starting a retail business on Shopify gives you to the opportunity to start off the right way, with the right tools and the best resources to guide you to become successful. Shopify will provide you with all the tools and information resources you need to start your own online boutique. You can find out more here. Online businesses are becoming more and more popular for the simple fact that there is a lot of money to be made online. In fact, more and more people are taking to online shopping as a way of getting everything they need from food to clothing and household items. This is a great opportunity for aspiring entrepreneurs who want to start a business but have low or no funds to invest in brick and mortar businesses. An online business presence and a great way to start a business and make it super successful working right from your own home and with little to no prior experience! All three business ideas I’ve listed above are very cheap to start and they can help you make a lot of money online. Take a look at each in detail and decide which one suits your business values and which one you’d like to start. You might be pleasantly surprised at how much you enjoy building a successful online business how much money you can actually make from it!